Augusto Caraceni, was born in Milan on August, the 8th 1960, where he lives with his wife and two sons. After graduating from medical school at the Università degli Studi di Milano in 1985,he was board certified in Clinical Neurophysiology (1988) and in Neurology (1993) at the Università di Pavia. While training in pain therapy and in palliative care at the National Cancer Institute of Milan in 1986 with Vittorio Ventafridda, Dr Caraceni participated in the WHO program to test and disseminate the WHO ladder for cancer pain relief. He was also a Clinical Fellow in Neurology and Palliative care at Memorial Sloan-Kettering Cancer Center, in New York in 1994. His clinical and research experience include the palliative treatment of advanced cancer, neurological complications of cancer, cancer pain classification assessment and treatment with particular attention to opioid analgesics, and symptom control with a special interest in delirium. 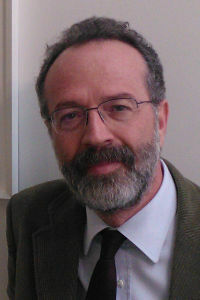 He is the author of more than 180 scientific articles in indexed journals, and with Luigi Grassi, he published the monographic book, “Delirium: acute confusional states in palliative medicine”, Oxford University Press 2nd ed 2011. Pain due to advanced cancer has a major impact on the quality of life of patients who cannot be cured of their disease. Pain control is therefore a mainstay of the overall strategy of palliative cancer care. Opioid pharmacotherapy is very efficient in controlling cancer pain when appropriately delivered yet a significant minority of patients experience insufficient pain relief due to different not completely understood reasons. One factor complicating cancer pain management is thought to be due to a neuropathic component to its pathophysiology. The diagnosis and treatment of neuropathic pain due to cancer and its impact on opiod responsiveness of the pain will be covered in the first part of this course. General principles of palliative care and innovative strategies of implementation and integration with oncology care will be covered as the second main topic.